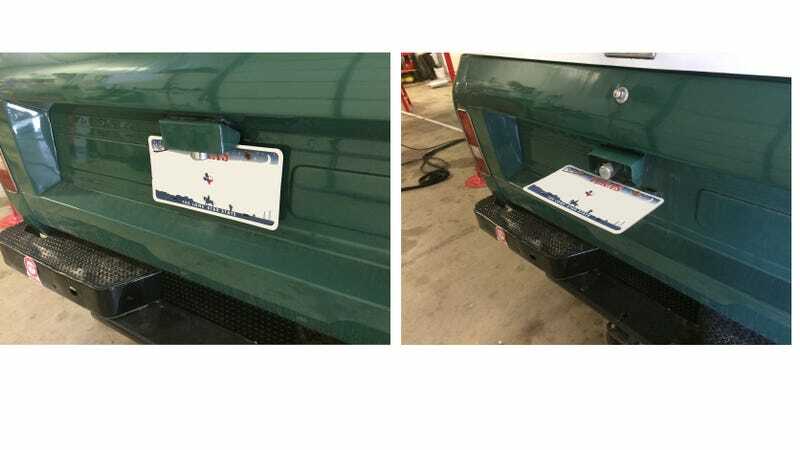 The rear license plate bracket is designed to flip outward. Why would anyone want that? This design allows the tag to be seen when driving with the tailgate down. International Scouts have loads of these clever little features. This particular 1976 Scout is undergoing major surgery at the shop where I work. We’ve done quarter panels, rockers, floors, body mounts, front suspension, cargo floor, loads of rust repair and to top it all off it’s getting a modern LS V8 under the hood. An awesome vintage 4x4 with all the modern amenities? Yes please. This project is pretty near and dear to my heart. When I was 16 the only vehicle that would do for my first vehicle was a 1978 IH Scout II. While mine wasn’t nearly as nice as this one will be, I’m happy to be working on one of these unique trucks again. I loved my Scout, and by extension I pretty much love every Scout I see. Happy Friday! 2 years ago Aaron Vick Starnes quit his well paying bank job to pursue inevitable poverty as an automotive writer. He has experience in automotive restoration, and works at a shop restoring and customizing cars. Follow him on Twitter @AaronVStarnes and check out his blog. 2017 Lexus LX570 – How Much SUV Do You Get For $100K?